Tiny bloodsucking bedbugs have become an epidemic in New York City over the last decade. The little pests have invaded even the cleanest and most expensive apartments in neighborhoods around Manhattan. Here's everything you need to know about bedbugs in NYC. Bedbugs are attracted by human body heat and the carbon dioxide that we breathe out and typically favor feasting on our shoulders and arms (ewww). During feeding, the bedbug's proboscis pierces the skin of its victim, injecting bedbug saliva (double ewww); they typically feed for 5 to 10 minutes at a time. As the little critter fills with blood, its coloring changes from light brown to rust-red. Do I Have Bedbug Bites (And How Can I Treat Them)? Bedbugs are rarely seen in action by their human victims. The first signs of a bedbug infestation are usually bites. Bedbug bites are generally painless, though itchy and annoying. They tend to start as swollen weals, then fade to red marks and gradually disappear over a few days. Experts suggest washing bedbug bites with antiseptic soap to avoid infection. The itching can be treated with calamine lotion or anesthetic creams. 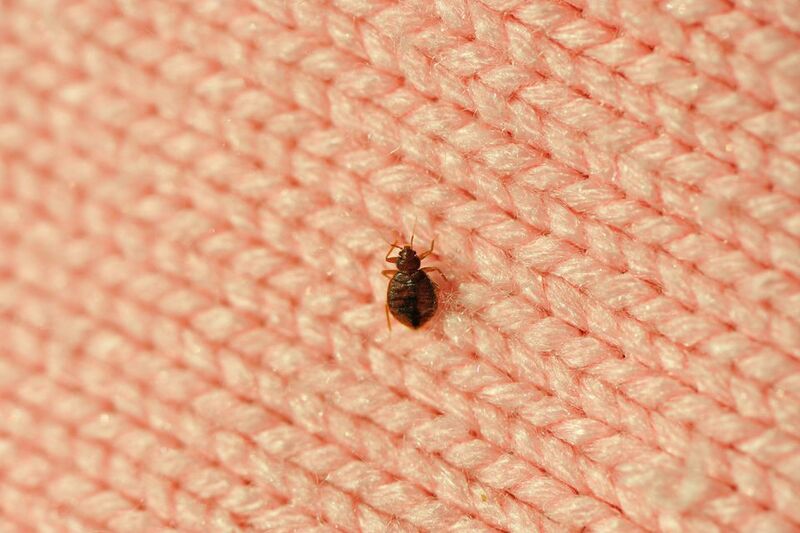 Bedbugs often spread by hitching rides on people's clothing or bags. They jump from host to host when people brush up against each other in crowds (yet another reason to keep your distance on the subway). They also spread through mattresses. Reconditioned mattresses, which are refurbished old mattresses, often spread bedbugs into stores and homes. In addition, bedbugs can spread when old and new mattresses are transported in the same truck. Experts say bedbugs have been all but dormant for decades. The recent comeback is said to be primarily the result of increased global travel, along with the banning of potent pesticides like DDT. Getting rid of bedbugs can be tricky, and in most cases, it's necessary to hire a professional. A qualified exterminator can use stronger insecticides to kill the bedbugs. Repeat visits may be necessary to ensure that all bedbugs are eliminated, considering that in proper conditions, adult bedbugs can survive without a meal for a year or longer. However, these annoying pests can be eliminated.